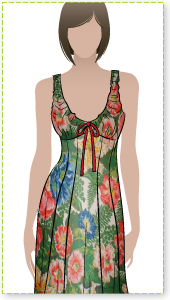 Pretty sun dress with a fitted shaped bodice and full skirt. 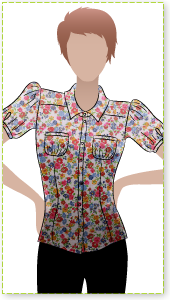 You will love this gorgeous button through sun dress. The bodice is beautifully fitted. The shaped bust seams and the shirred back allows this dress to fit perfectly and be comfortable to wear. The skirt has gathers falling from the waist and and two large patch pockets. Not after a dress? 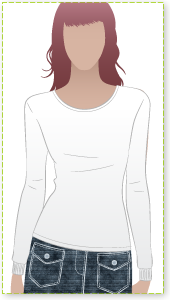 You can make this one as a midriff top too! Overall this is a great pattern and relatively easy to follow. 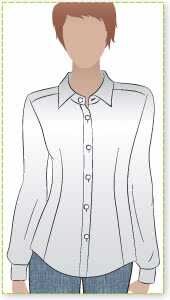 Made mine with organic cotton fabric and added pleats at the waist rather than the gathers. Fits really well and is comfortable to wear. Very happy as I received a few complements when I wore it to brunch. Love this dress pattern. Quick to make, cute and bra strap coverage! Instructions for the back panel took a couple of read throughs – just changed the construction order slightly when I made it a second time. Awesome design but instructions are a little vague. I’m sure I’ll make it again but change the way it’s constructed. 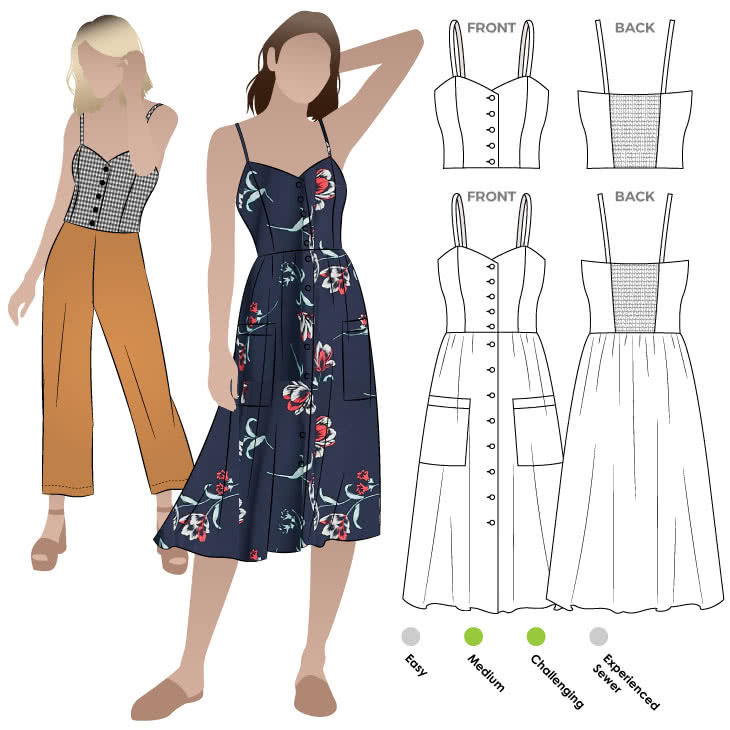 My ideal summer dress pattern! I’ve made one so far and plan to make a few more. A+ on this one, Style Arc! I absolutely love this dress. I made my first Ariana in cotton/linen blend. 4 12.4 cm / 4 7/8"
6 13.6 cm / 5 3/8"
8 14.8 cm / 5 7/8"
10 16.0 cm / 6 1/4"
12 17.2 cm / 6 3/4"
14 18.4 cm / 7 1/4"
16 19.6 cm / 7 3/4"
18 20.8 cm / 8 1/4"
20 22.0 cm / 8 5/8"
22 23.5 cm / 9 1/4"
24 25.0 cm / 9 7/8"
26 26.5 cm / 10 3/8"
28 28.0 cm / 11"
30 29.5 cm / 11 5/8"